I'm going to paint mine in jewel colors. Bold amethysts, stunning emeralds, bright sapphires and a hint of ruby. 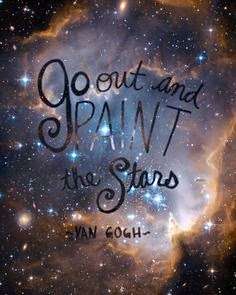 My mom loved this quote and always said that she would paint her stars plaid. She especially wanted to give Orion a kilt ... so when she passed on 11 years ago I "bought" her a star near Orion!